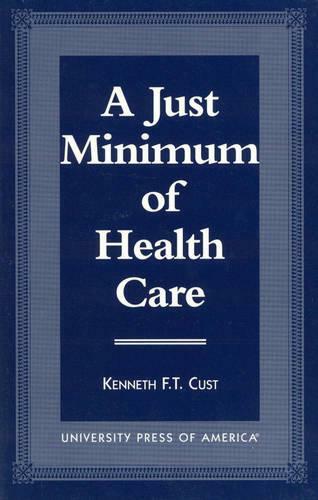 This book offers a comparative analysis of the Canadian and American health care systems, while explicating and criticizing both Norman Daniels' fair equality of opportunity argument for a right to health care and Allen Buchanan's enforced beneficence argument for a right to a decent minimum of health care. Cust advances his argument, based on David Gauthier's Morals by Agreement, that people have a right to a just minimum of health care. The significance of Cust's book is that the main argument is based on four important notions central to contemporary social, moral, and political theory: namely, the notions of liberty, equality, consent, and mutual advantage.